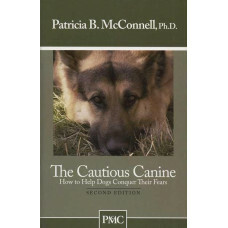 Cautious Canine shows how to help dogs conquer their fears using desensitization and classical counter-conditioning. You will learn to discover exactly what triggers your dog and how to apply this popular step-by method to your dog to overcome fear-motivated problem behavior. Patricia B. McConnell, Ph.D., CAAB is an Ethologist and Certified Applied Animal Behaviorist who has consulted dog lovers for over twenty years. 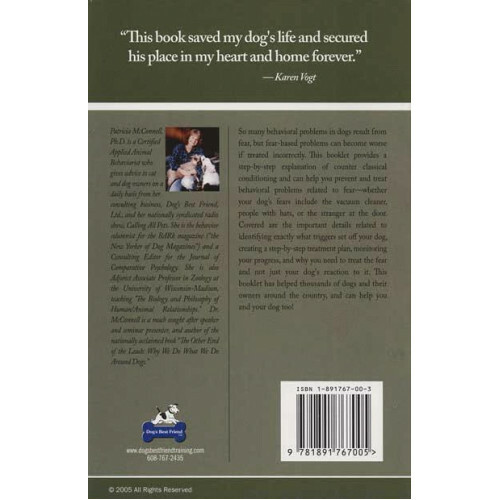 She is the author of ten books including The Other End of the Leash: Why We Do What We Do Around Dogs and For the Love of a Dog: Understanding Emotion in You and Your Best Friend. Trisha lives on a farm near Madison, Wisconsin with two dogs, one cat and a flock of sheep.